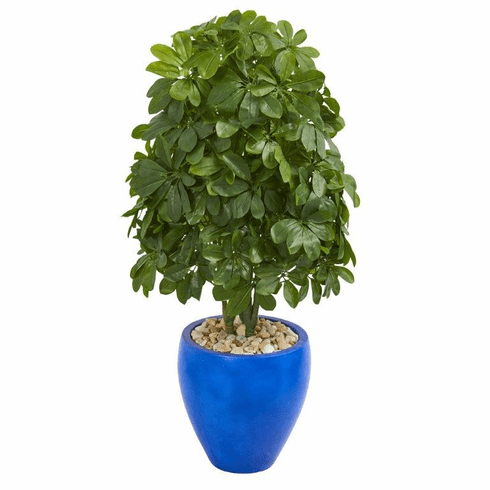 Coming in a blue oval ceramic with natural river rocks, the artificial schefflera plant will add a pop of color to your home office. With it's lifelike real to the touch leaves that have a soft glow to them, it'll be a piece that you won't be able to resist touching! It's made from the finest material, and will require no maintenance to keep the leaves beautifully trimmed. Size: Height: 3.5 Ft., Width: 20 In., Depth: 20 In.